"You can only evaluate your servant by sending him out, brothers and kin in time of crisis, a friend in adversity and your woman on destruction of money. Chanakya"
Chanakya Wise Quote Meaning/Explanation- The real behavior of human beings and near-dear ones come out under the challenging situations. 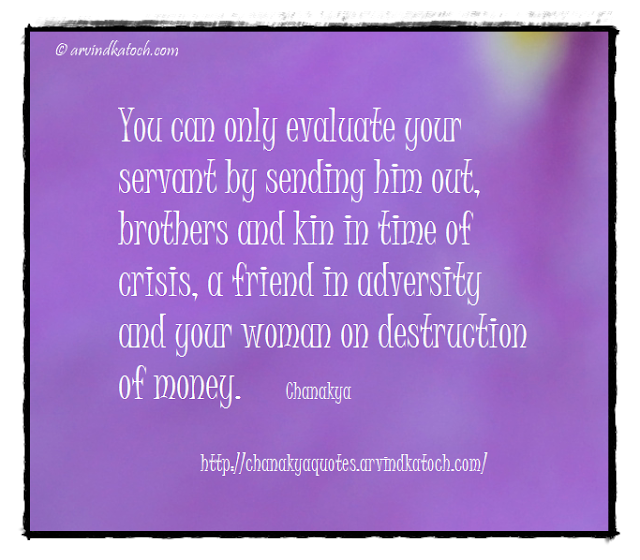 Here Chanakya has given us few methods to check the real behaviors of servant, brothers-kin, friend and woman.